Marcelina Hardy, also known as Marcie, is a 51 Blocks SEO Account Manager. She enjoys interacting with clients and tackling websites to find out how they can be improved for better search engine ranking and user experiences. 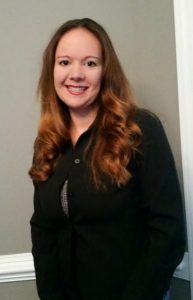 In the 10 years, she’s been working on websites, she’s seen how the online world has changed, and she’s excited about the future for business owners. When she’s not investigating websites and speaking to clients, she’s spending time with her husband or playing with her kids. As a military spouse, she’s lived in Virginia, Kentucky, and the beautiful city of Charleston, South Carolina.